The drawstring backpack that I normally carry around had seen better days. 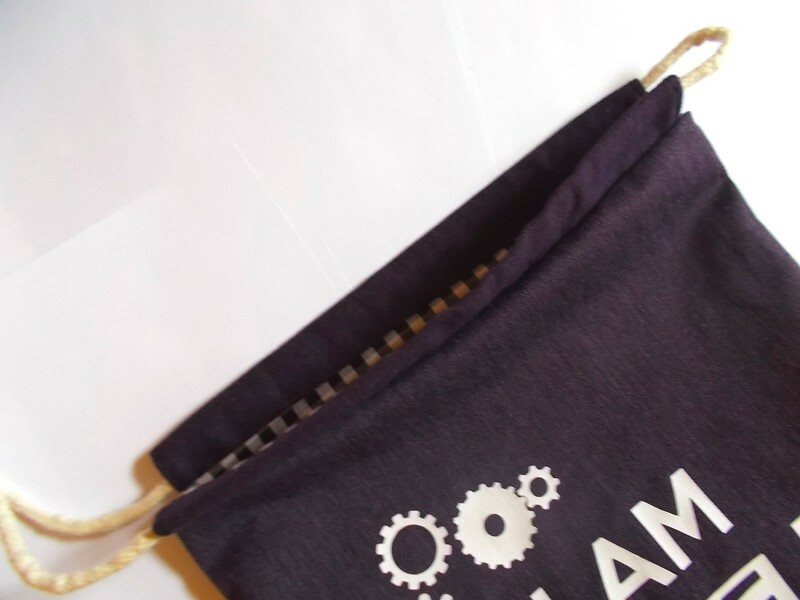 Being an empathetic individual, I had a feeling that it's time to retire him, and thus I decided to make a drawstring backpack whose sturdiness is suited to handle the weathering and battering in my daily life. I searched online for a drawstring backpack tutorial that I liked, but while I liked some parts of some tutorials, none had the perfect combination of features, sewing, steps, etc. that I wanted. 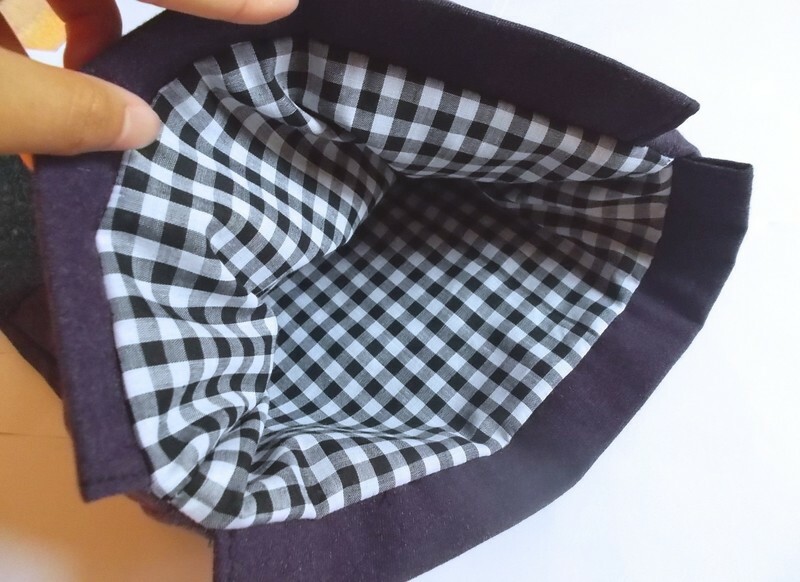 I thought my lining fabric was too thin for handling the cinching at the top, I did not have eyelets, I wanted an exterior front pocket -- "Where's the tutorial to address my needs?" I asked. Grab your fabric. 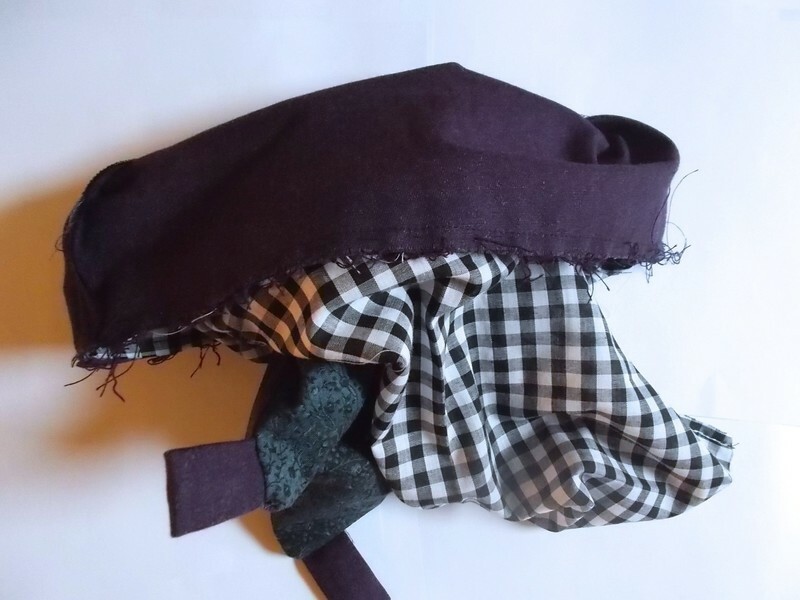 I had four types, but actually it should've been just three; the thing is that I didn't have enough of some black fabric that I liked for the pocket so I made do with mixing other fabric with it. You can always just use one type of fabric or two, etc. 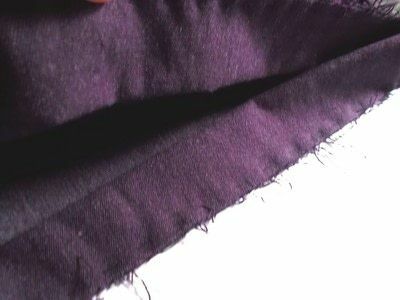 -- it all depends on how you use your fabrics. If your lining fabric is pretty thin (I'm assuming that your exterior fabric is thick already, enough to withstand the activities you'll be carrying out with this backpack.) and you wouldn't trust its strength with all the pulling that the cinch mechanism will entail, then take your exterior fabric rectangles and cut off 3" of fabric from the tops so that you have two smaller rectangles, 3" by 18". Cut off 1" from a side so that it becomes 3" by 17". 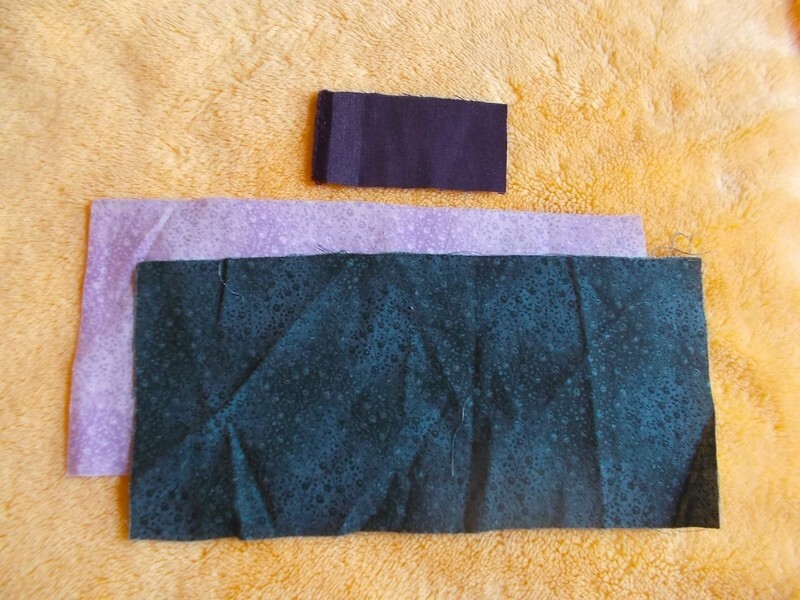 Then take your exterior fabric and cut out two more smaller rectangles with those dimensions. In this case, your lining rectangles should be 13" by 15". 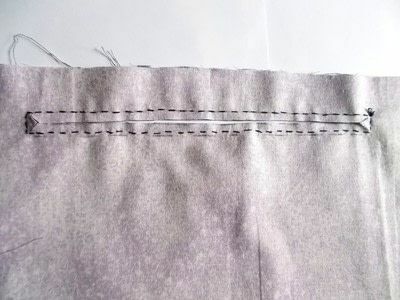 If you would trust your lining fabric, then the rectangles you cut out should be 13" by 18" and you should do the cutting off 3" and 1" as detailed above to BOTH the lining and exterior rectangles. 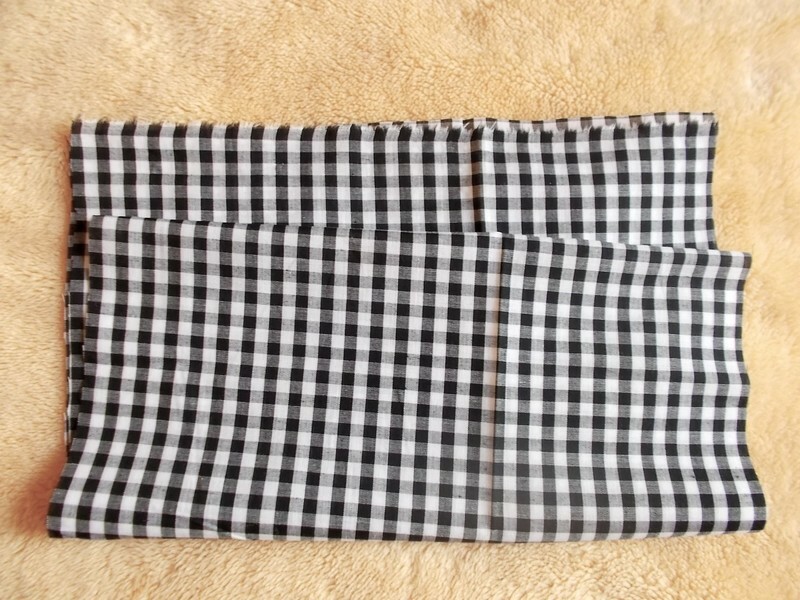 The lining rectangles in this case should be 13" by 18" -- same as the exterior rectangles. In any of those cases, you should end up with four 3" by 17" rectangles. HOWEVER. 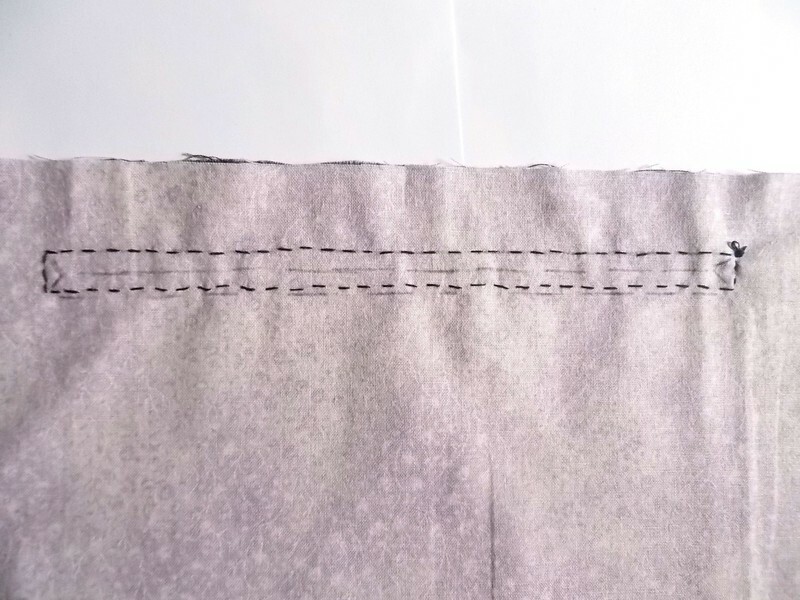 If your exterior fabric is thick (as in denim thick -- I used heathered twill so I went with this third method in the end), you only need TWO rectangles that are 3" by 17". 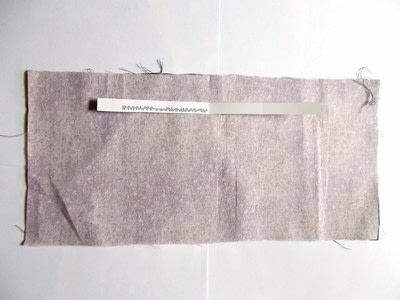 In this case, both rectangles should be cut off from the 13" by 18" piece of exterior fabric, and the lining fabric should be 13" by 15" rectangles. Measure the length of your zipper and draw a rectangle that's 0.25" by that length on some scrap paper. Cut it out. 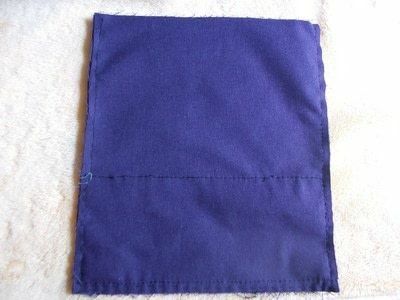 Then take the 6" by 18" rectangles that you cut out for the pocket and arrange them face to face. 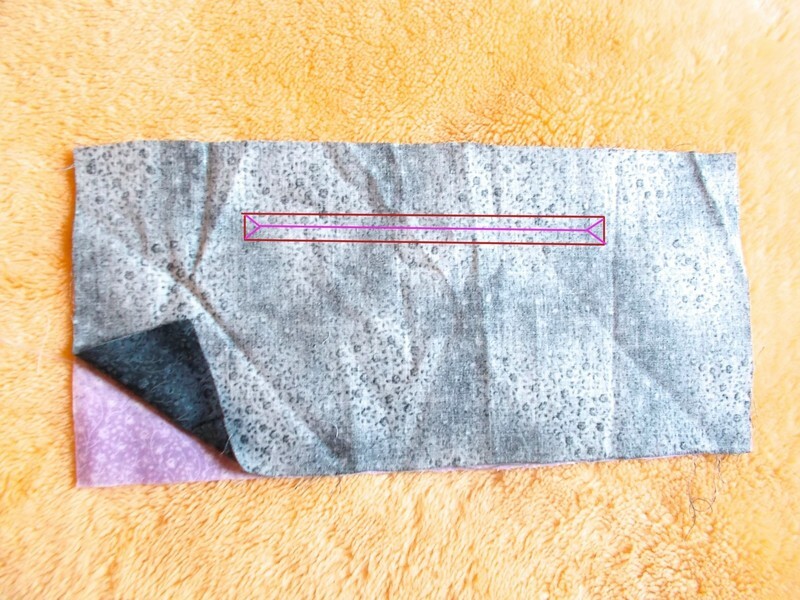 Place that paper rectangle centered, as far down from the top as you like, on the fabric rectangles. 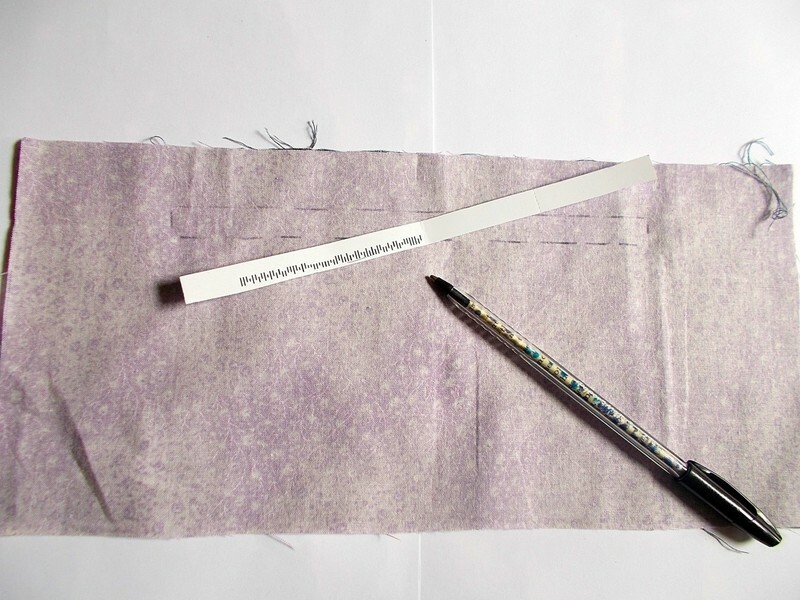 Use a pencil to lightly trace along the lines. Sew along the light pencil marks. ... and cut along them. 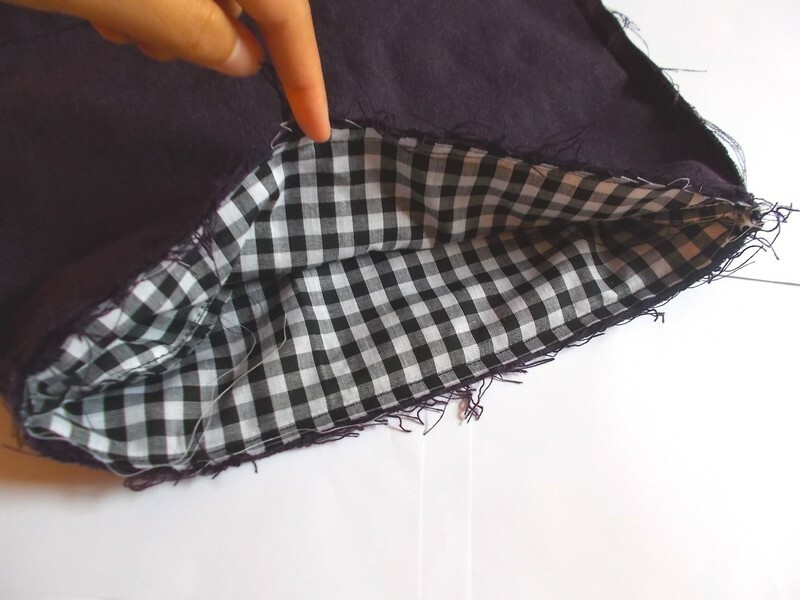 Now push one rectangle of fabric through the hole. This may sound weird, but it'll all make sense once you do it. 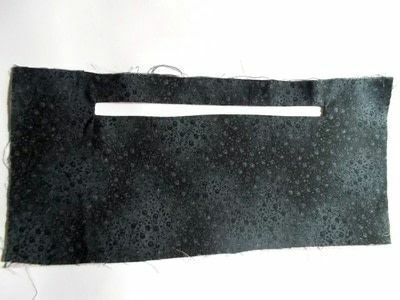 Iron flat your result, and you should see the rectangle that you sewed. 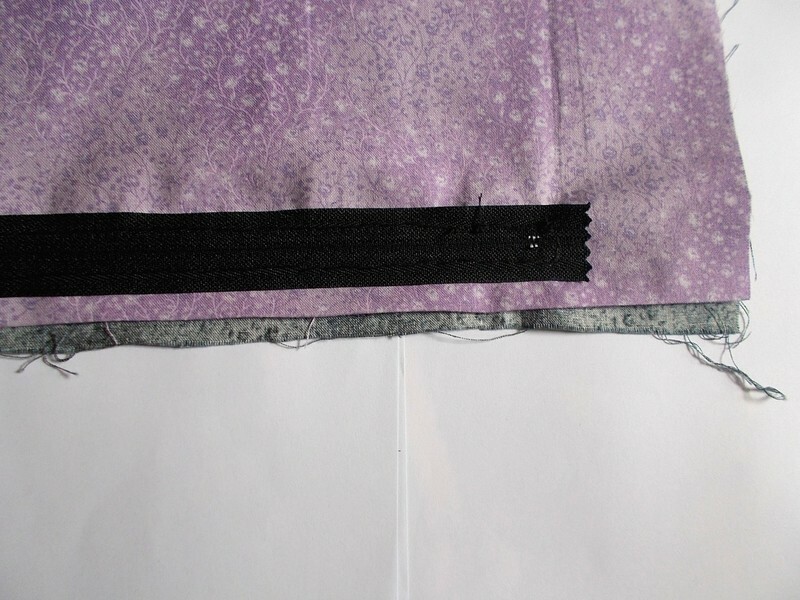 Place your zipper in that slim rectangular window and sew along the edges of the rectangle. 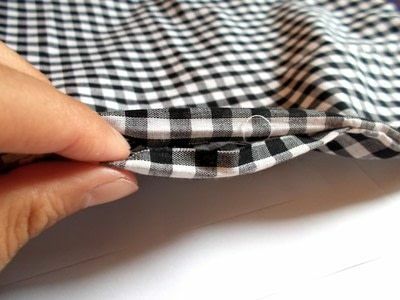 Flip the pocket to the side on which you can see the backside of the zipper and fold the top edge down about 0.25" before using your iron to press that fold flat. Flip to the side on which you can see the front of the zipper and again, fold the top edge down as much as you folded down the previous flap. Press that flat too. This is just to hide the unraveling edges. 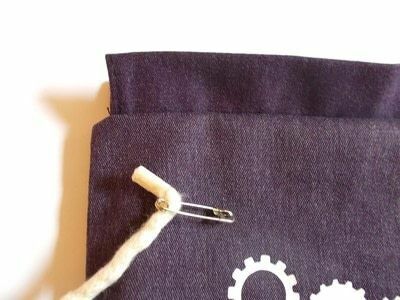 Take your entire pocket piece and place it along the bottom of a rectangle of exterior fabric. 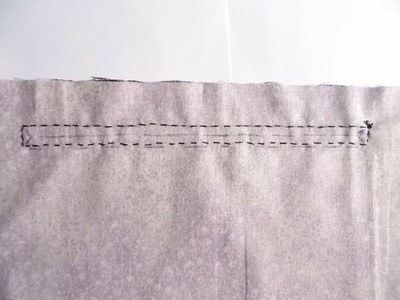 Sew along the top edge of the pocket's fabric (you should have the ironed-down folds along that edge) to secure the pocket to the backpack, and then for the other three sides, just do a loose stitching around (baste) simply to prevent the pocket from moving too much later on. Set this piece (and the other rectangle of exterior fabric) aside for later. 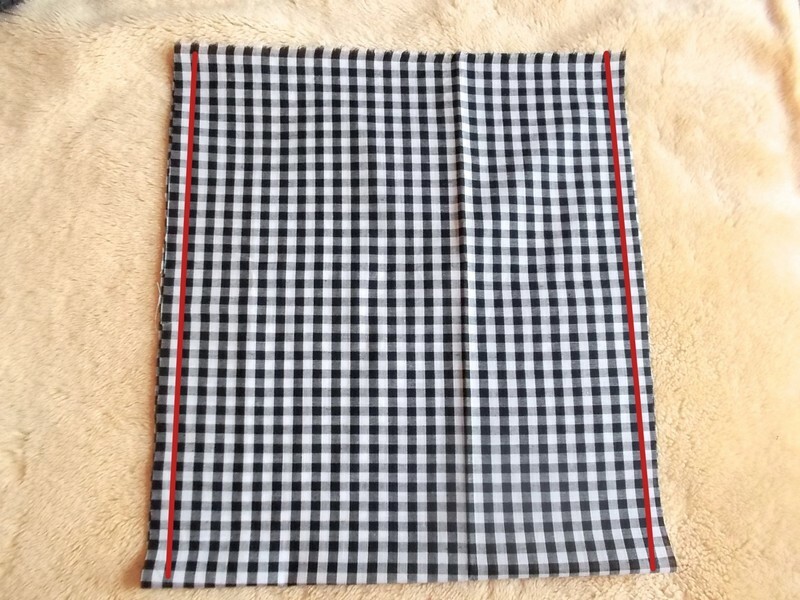 If you have four 3" by 17" rectangles, take two of the rectangles and place them face to face (You may want to mix and match so you have two pairs of rectangles and in each pair is one exterior and one lining fabric. 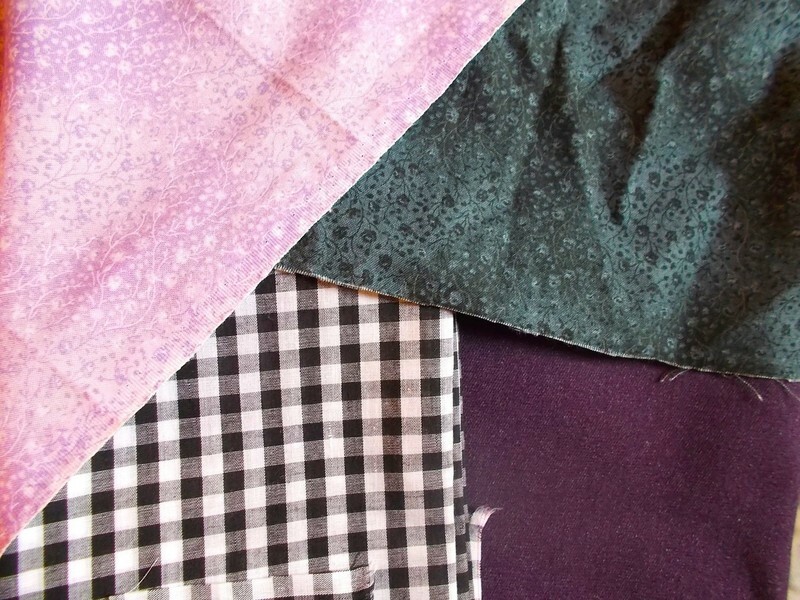 If all the fabrics are from your exterior piece, disregard that.). 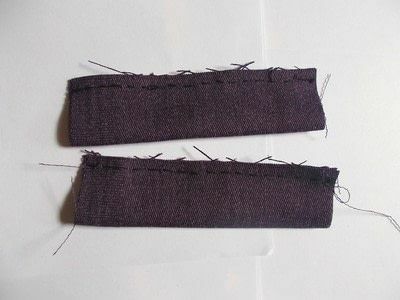 Sew along three edges (leave one long edge unsewn) and repeat for the remaining two rectangles. Then turn both sewn pieces inside out and use the iron to press them flat. 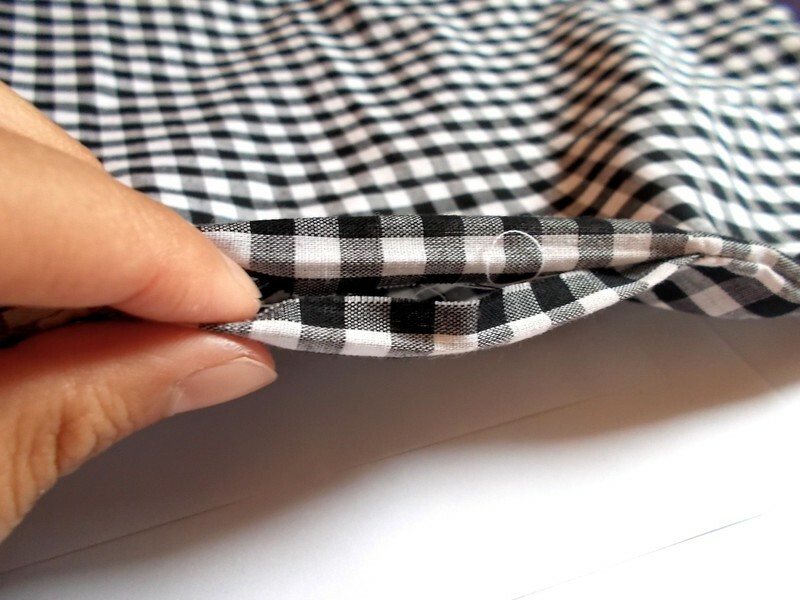 Fold both pieces in half lengthwise and using the iron again, press that new fold flat. 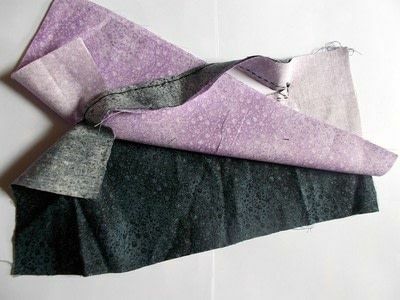 If your fabric is denim-thick and you have two 3" by 17" rectangles, fold the shorter edges down twice (so fold once, and then fold one more time to hid the unraveling edges) and sew along the new folded edge to secure it. 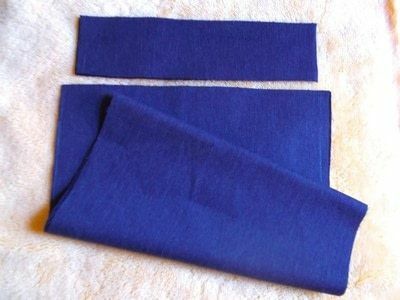 Repeat for both short edges of both rectangles before folding each piece in half lengthwise (wrong sides facing) and pressing that fold flat. 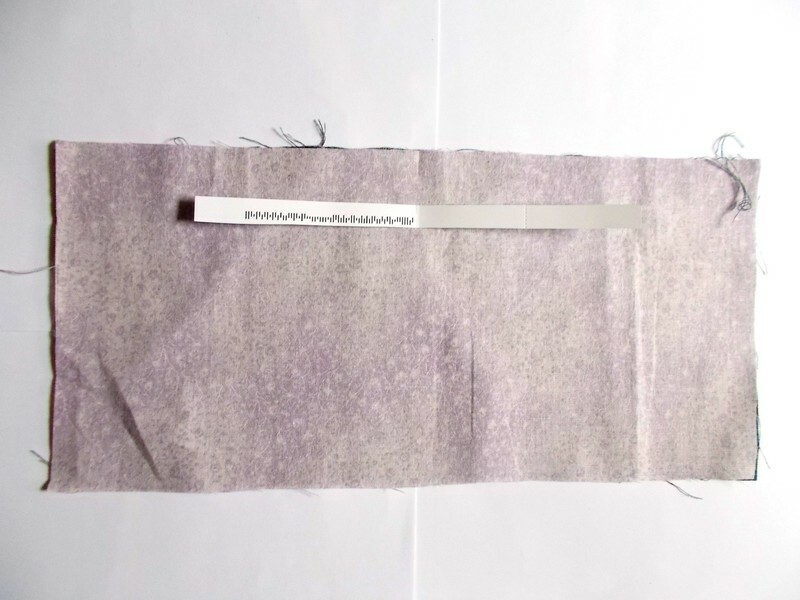 No matter which of the two methods above that you used, take a cinching tube and arrange the unraveling edge along the top of a rectangle of exterior fabric, centered. 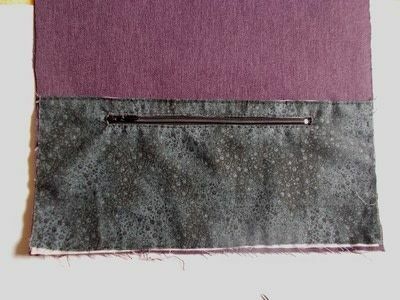 Sew along the edge loosely (baste) to secure the cinching tube to the fabric, and repeat with the other cinching tube and exterior rectangle. Take a 2" by 4.5" rectangle and fold it in half lengthwise before sewing along the top edge opposite to the fold. Then turn it inside out and press it flat with an iron. Make sure that the seam is somewhere near the middle of the tube and not at the top or bottom edge, where it will show. Repeat with the other 2" by 4.5" rectangle. If you want, you can now take the time to add any decorative details to the exterior fabric. 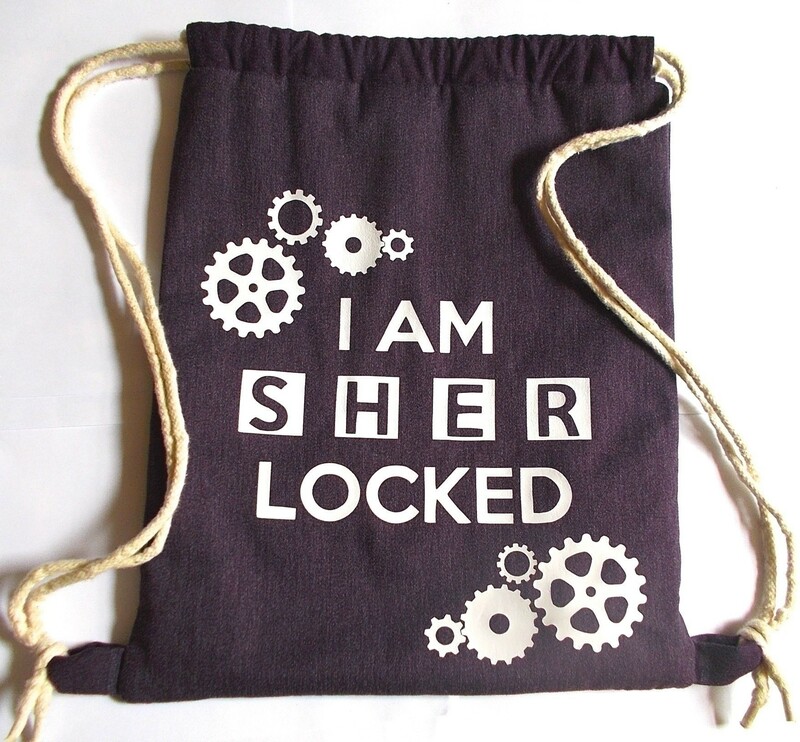 I used my Cricut Explore to cut out a Sherlock-inspired design (shout out to my fellow Sherlocked peers) onto iron-on before applying it with an iron, but you could also use fabric markers/paint and add patches. Do all of this before sewing in the next step; I was a bit addle-brained and did the next step before realizing that I should've applied iron-on earlier. 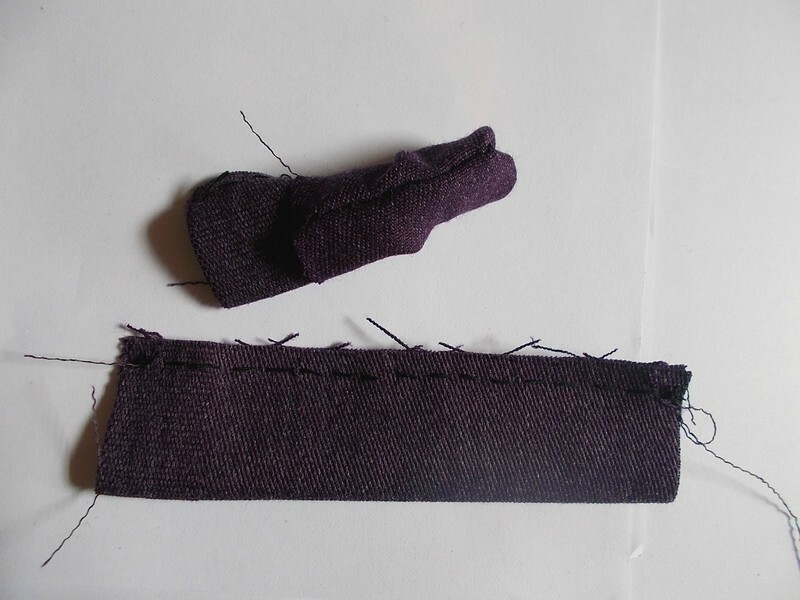 Fold the small loops tubes in half widthwise and tuck them in between the two rectangles of exterior fabric (right sides facing each other). Sew along three edges of the exterior fabric, all sides except the top edge, making sure that your stitching is deeper than the initial basting you did to secure the pocket fabric to the rectangle. 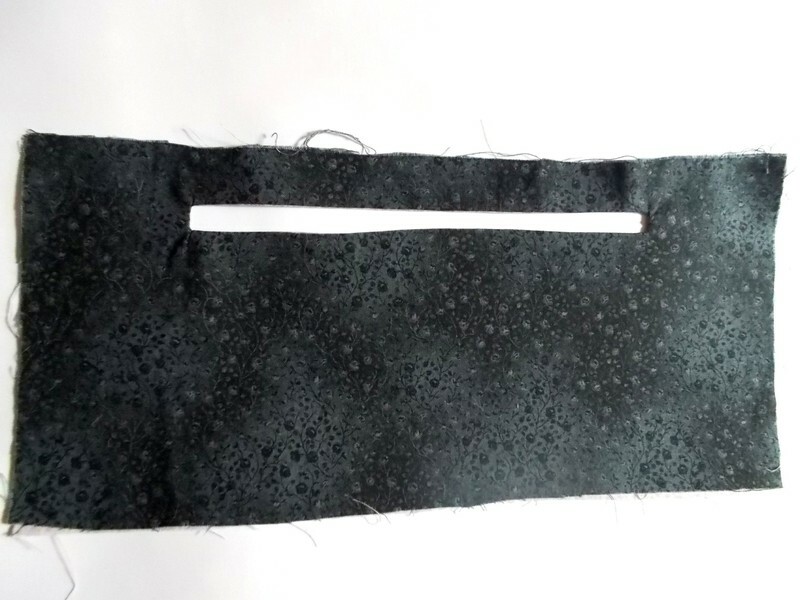 Take the two lining fabric rectangles and place them face to face. 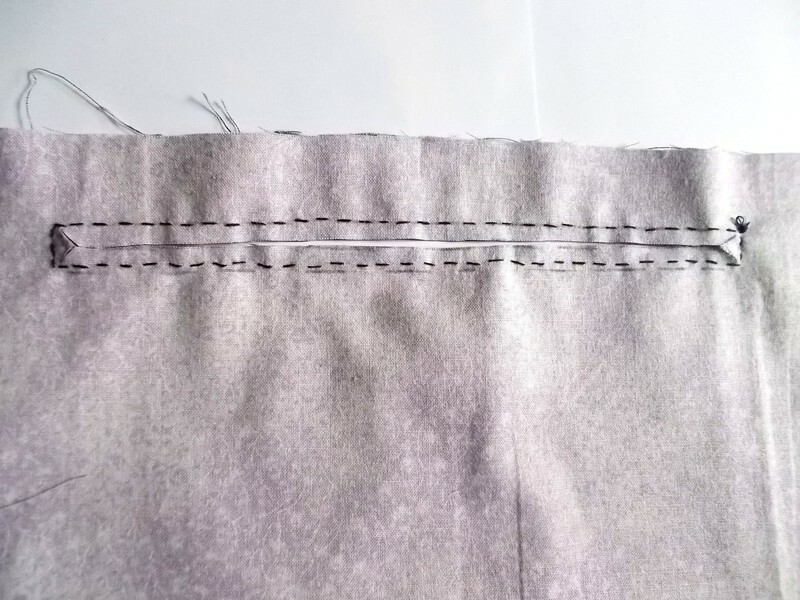 Then sew along three edges (two sides and the bottom; unless you left the bottom uncut like I did, in which case you wouldn't have to sew the bottom at all). 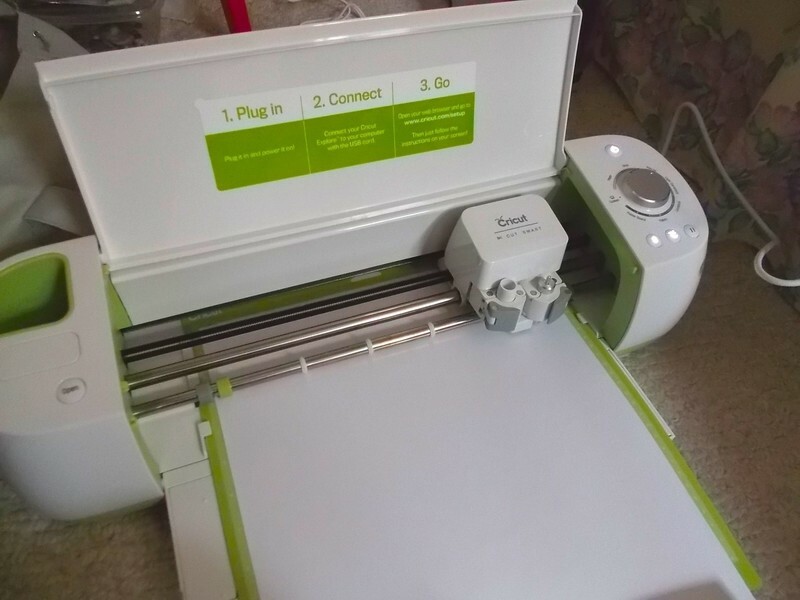 What's that edge that you haven't sewn up yet? That's right -- the top border! 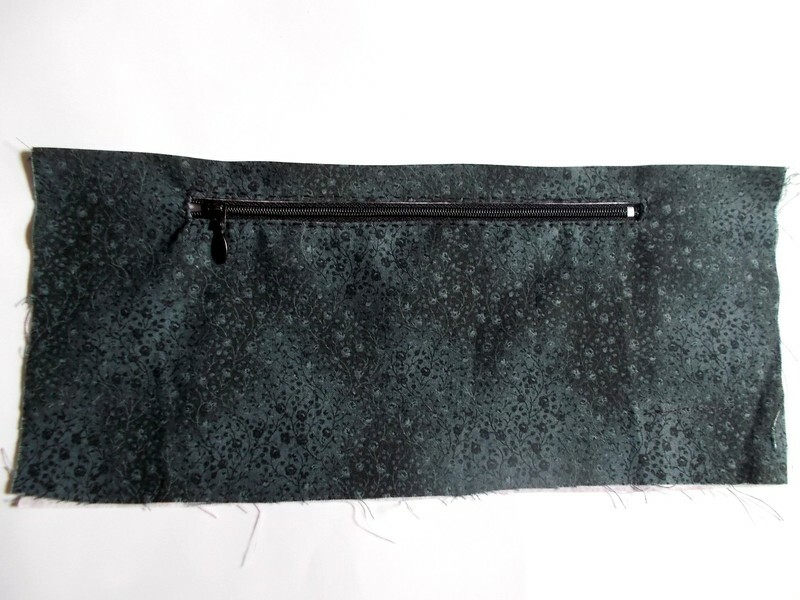 Flip the lining pouch inside out and slip it into the exterior pouch (not flipped inside out). Line up the top edges and sew around that border. 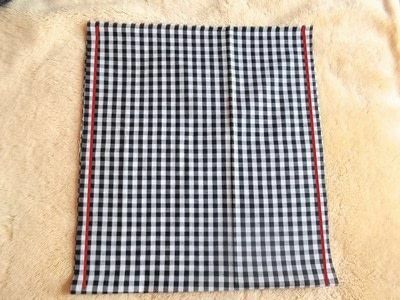 Remember leaving a gap in the lining? Well, now you're going to use that hole to flip EVERYTHING inside out. Just gently tug the exterior fabric out first, and start with the corners. Close the gap that you used for turning things inside out however you want; the easiest way would be to simply sew really close along the edge. 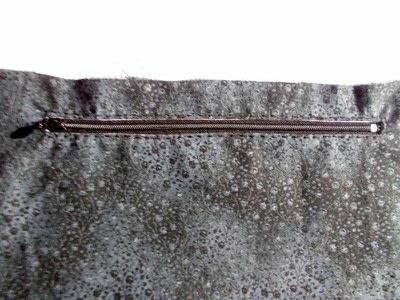 For a more unblemished finish though, I would suggest the ladder stitch (http://www.sew-it-love-it.com/ladder-stitch.html), which is what I used. Then just push the lining into the bag. 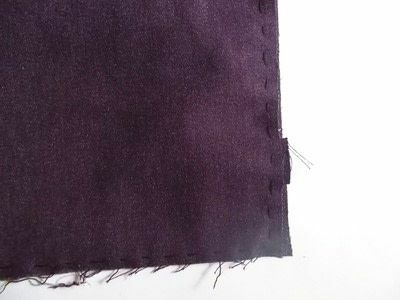 If you want, you could sew another line of stitching directly below the cinching tubes, but it's up to you. 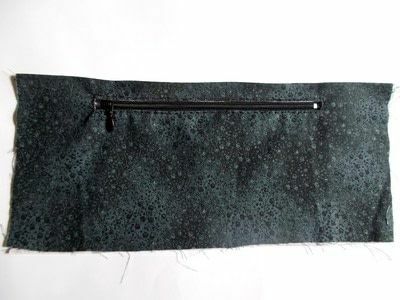 I usually like to do that when making lined pouches just to further secure the lining, but I didn't find it necessary for this project. And the sewing is complete! Let me put my new backpack on.. 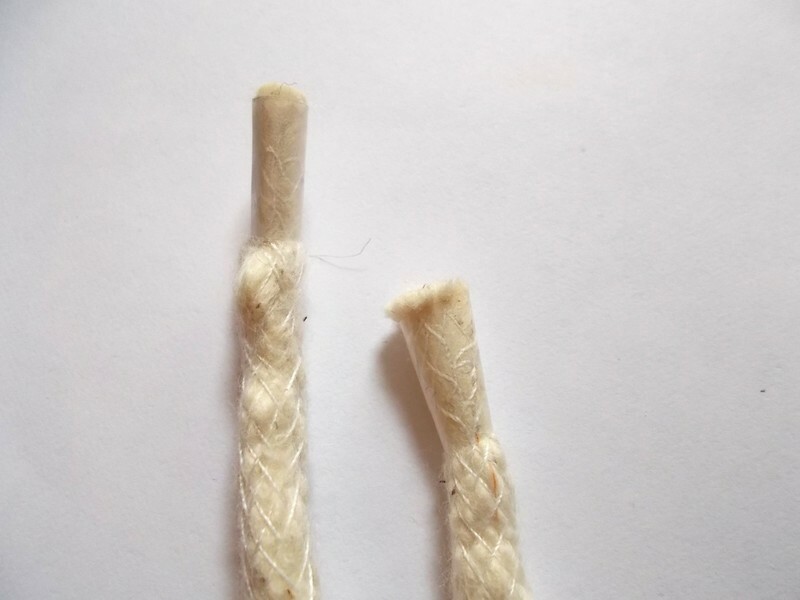 Grab your chosen cording and string it though both cinching tubes. 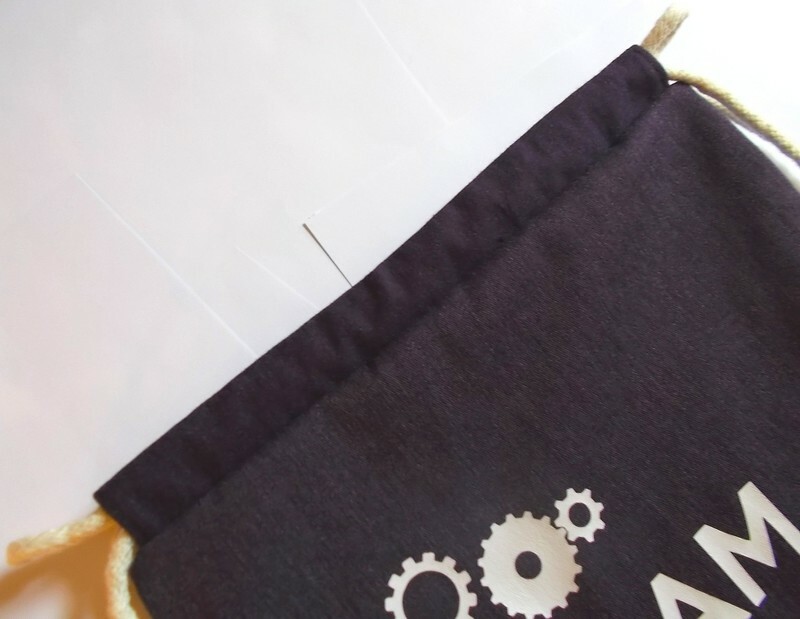 Attaching a paperclip to the end makes stringing a lot easier. When you've strung the cording through, use another drawstring backpack to measure how long you want your strap to be and add about 3" before cutting; you could also just loosely sling your backpack on and measure the strap that way. 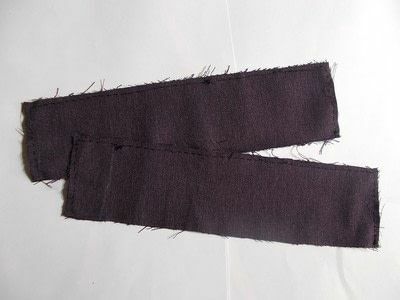 OR you could cut out two yards of cording; that should be safe enough. Use that strap to determine the length of your other strap, cut that length out, and then string it through both cinching tubes. 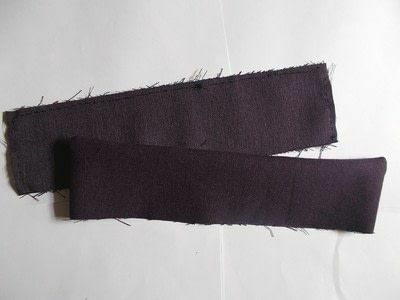 This time, don't string in the same orientation: for example, If your first strap entered the cinching tube on the left, your second strap should enter the tube on the right. Take the two cords that are the ends of a strap (because each strap is a doubled-over length of cord) and insert it through the hole of a small loop that you sewed onto the bottom of your backpack. 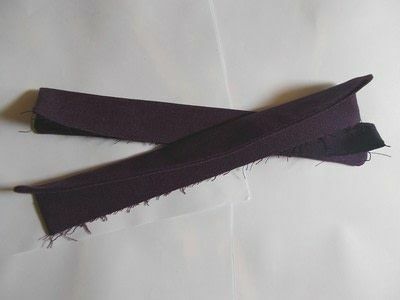 Tie a knot with the cording to secure the strap, and repeat with the other strap. 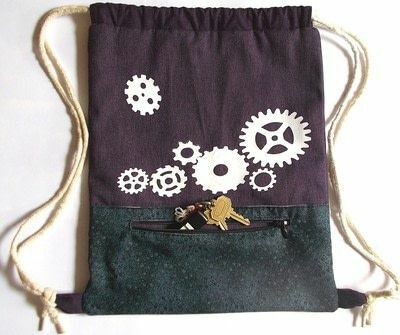 Now loosely sling on your backpack and decide if you need to readjust the knots; do so if necessary. Once satisfied, cut the excess cording (leave a bit of a tail) and prevent fraying with any method. For rattail or paracord, use a lighter to singe, glue will work fine for sealing the ends, etc. 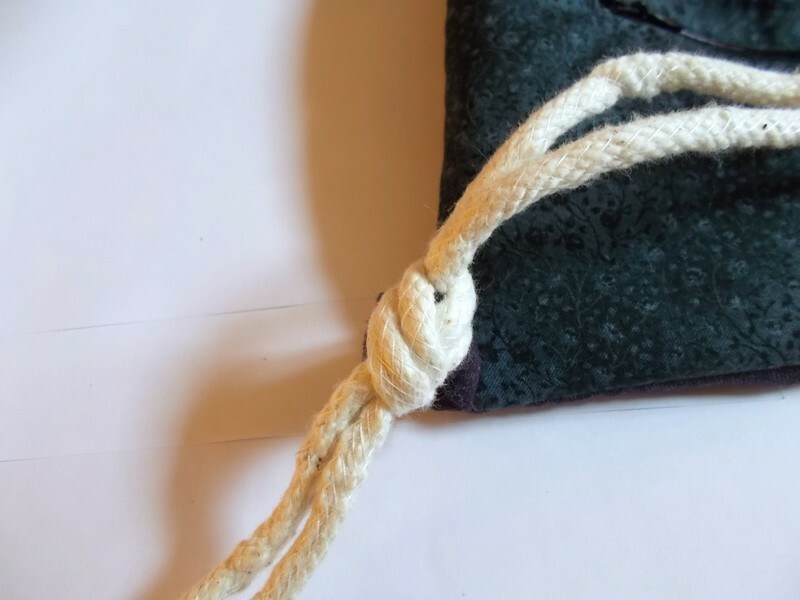 -- for my cording, I just used tape to wrap up the ends like a shoelace. That's your new drawstring backpack! As always, if any instructions are unclear for you, comment below and I'll try my best to resolve your confusion.